Are you getting married soon? Would you like to have an outdoor wedding? Are you looking for a Sand Springs wedding venue? Meadowlake Ranch is a lovely location to have a Sand Springs wedding. We have a great Sand Springs wedding venue location for you just outside of Sand Springs, Oklahoma. Check out the rest of our website to see what other items our lovely property has to offer you and your loved ones and friends. We are here to assist you to ensure your exceptional day is flawless. We offer the perfect Sand Springs wedding venue for you and your special wedding day. Give us a call and come out to our location to stroll around our different Sand Springs wedding venue sites we have available. Once you see our ideal space, you will not have to look at any other Sand Springs wedding venue. We want to support you in making your day delightful. We focus on rustic Sand Springs outdoor weddings of all scopes. The nice-looking backdrop, serene atmosphere, and distinctive features we offer make our Sand Springs wedding venue, Meadowlake Ranch, the picture-perfect venue for your Sand Springs wedding ceremony and Sand Springs reception. We have a lakeside patio near our Sand Springs wedding venue. Our lakeside patio is a Sand Springs bride’s preferred Sand Springs wedding venue among our local Sand Springs wedding ceremony locations. A spectacular outlook of the lake, an adjoining waterfall, and ample room to be able to seat more than two hundred and fifty guests makes our Sand Springs wedding venue the perfect site for a big outdoor wedding ceremony in Sand Springs. The lake view patio offers a more private and intimate situation for an outside Sand Springs wedding ceremony at our Sand Springs wedding venue. A country looking arch, and charming foliage sets the platform and all heads and eyes are on you, the stunning Sand Springs bride. 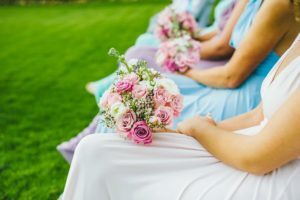 This Sand Springs wedding venue patio likewise offers a wonderful location for an outdoor Sand Springs wedding reception. The lodge is your Sand Springs wedding venue and Sand Springs reception command center. The lodge features a kitchenette, 6 bathrooms, 4 showers, and an office space. The lodge is the establishment on which you construct your Sand Springs wedding venue and Sand Springs reception venue bundle. The Sand Springs event center’s uncluttered floor blueprint, built-in sound system, and capacity to seat 150 at tables make it the ideal location for your indoor wedding reception. It also makes an excellent back-up plan for a last minute indoor wedding ceremony. A Sand Springs Bridal Suite for you and your bridesmaids needing a space to unwind and get prepared for your Sand Springs wedding day and our marriage suite delivers just that. It offers a full kitchen, bathroom, bedroom with king size bed, living space with a sofa and television, a wall dedicated to hanging dresses, full length mirrors, and a spectacular view overlooking the Sand Springs ranch from which you can even see downtown Sand Springs . We want your guests to reminisce on your special Sand Springs wedding day as much as you do. With matchless features such as covered wagon shuttles, ranch activities, hayrides, and campfires you can be sure your wedding will be the topic of conversation among your guests. How does making an appointment work? Dates are reserved on a first-come, first-serve basis. To secure a date at our Sand Springs wedding venue, Meadowlake Ranch has to get a complete filled out and signed contract and a minimum deposit of $500. Conversation about dates does not guarantee a reservation with our Sand Springs wedding venue. How many hours does the rental fee reserve my Sand Springs wedding venue space? Full day rentals are 12 hours (10 am to 10 pm) and half day rentals are 5 hours (10 am to 3 pm) or (5 pm to 10 pm). Additional time may be purchased at an hourly rate. Do you offer payment plans for your Sand Springs wedding venue? Yes, nonetheless we encourage payment in full at booking your Sand Springs wedding venue with a 10% discount incentive. Are there extras charges for cleanup? Trash cleanup as well as the set up and break down of tables and chairs are included in the price of your Sand Springs wedding venue rental. However, all items brought by you, your vendors, or your guests are to be removed from the indoor space by the end of your rental period. Can I hire my own vendors for your Sand Springs wedding venue? While we do have a preferred vendor list, you may hire your own outside vendors at your discretion. We will obtain your outside vendor information in a meeting prior to the date of your event. We have a parking lot near the lodge, and also give you the option to restrict guest parking to an area at the front entrance. This option keeps vehicles out of view and our covered wagon shuttles create a unique experience your guests are sure to remember. Sand Springs wedding venue – provide alcohol? Meadowlake Ranch does not provide alcohol. You are more than welcome to bring your own or hire an outside bar service. Security, which we provide for a fee, must be present during events where alcohol is served. Can I setup the day before my Sand Springs wedding? You will not be allowed to begin setting up the day before your Sand Springs wedding event. All setup will be limited to the rental period. Additional time before and after your Sand Springs wedding event may be purchased at an hourly rate from us, your Sand Springs wedding venue. Contact us today to book your wedding at our premier Sand Springs wedding venue! We are accessible to reply to all and any questions you may have about our Sand Springs wedding venue. Our office hours are Tuesday – Saturday 9:00 am to 6:00 pm. Tours are available by appointment, so don’t wait or hesitate. We have staff that lives on-site and they can assist you 24 hours a day. Give us a call today to schedule your tour to view our gorgeous property.